Public speaking is the number-one fear shared by Americans, right? Not anymore. According to a recent survey by HSI, 64% of respondents said they were more afraid of being a victim of cybercrime than of public speaking. The rise in cybercrime-phobia makes sense: The same survey also reported that one in four people had either been hacked themselves or knew someone who had been hacked. Although cybercrime is an ever-present danger, particularly for international travelers, there are steps you can take to prevent a breach of your personal data. Do you plan to take your Mac or iPhone with you when traveling overseas? Every country has its own laws relating to cybersecurity—and potential risks. If you're traveling overseas, whether for business or pleasure, it’s especially important to be on guard. This article will offer up a few tips for maximizing your cybersecurity while traveling abroad. If you’re planning a trip overseas, your cybersecurity efforts should begin before you even set foot out the door. The airport, a plane with unreliable Wi-Fi, or a small Internet cafe won’t provide you with the security you need to get your defenses properly set up. To begin, find and install strong antivirus software. While Macs have a reputation for being less susceptible to viruses, they do still need some extra protection. 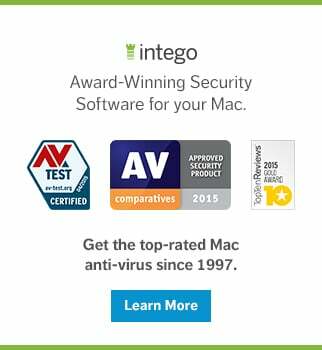 Intego Mac Internet Security X9, for instance, is a trusted, affordable option. Also, consider setting up an in-home virtual private network (VPN) router to run your own secure network—a home VPN router is an excellent way to secure both your Mac and your iPhone when traveling overseas. This option is significantly less expensive than paying for a VPN service, and you can rest assured knowing that you’re keeping things safely within your own home network. Finally, remember to install all of your computer’s software updates before you leave. These software updates not only help your computer run smoothly, but they also help patch vulnerable security holes and improve your device’s defense against newly emerging threats. As you work to protect your Mac from cybercriminals, remember that your mobile devices are also susceptible to cybercrime. This means you also need to protect your iPhone or iPad while you travel abroad, too. Start by changing your Apple ID password to something long and difficult to hack, and remove any credit card information that might be associated with your Apple account. It’s also a good idea to turn on the lock-screen passcode. 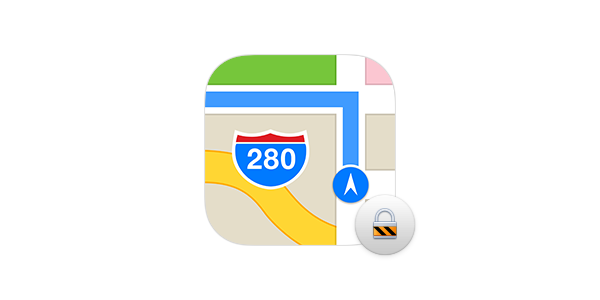 That way, if your phone gets taken, you’ll limit how much information the thief can access. Furthermore, consider turning on the “Find My Phone” feature, as this can help you find a misplaced or stolen device—and the information stored on it. Newer iPhones even have a feature to effectively lock and wipe a phone that’s been taken, allowing you to erase all of your personal information from a phone remotely. It won’t bring your phone back home, but it will keep your data safe. If you’re going to be traveling to any of those countries, stay alert throughout your trip. Staying aware of any suspicious activity on your devices will allow you to quickly address a potential breach before it goes too far. Public Wi-Fi will be a handy tool when you’ve finally reached your destination, whether you need to Skype with your family or email a report to your boss. Unfortunately, public Wi-Fi is also a handy tool for hackers: With the right skills, anyone can easily monitor your activity on a public network. And once they’ve gained access, information like usernames, passwords, personal data, account numbers, and a host of other things are easily within reach. Some hackers will even go so far as to set up networks that they own to launch what is called a man-in-the-middle attack. If you log on to one of these networks, the hacker will be able to see and capture your computer activity, directing you to phishing sites to steal your information. Disable network sharing. In your System Preferences, adjust the default sharing settings on your Mac so that others on the network have a harder time seeing your device. Connect to a VPN. When you connect to a VPN, all communications will be secure and encrypted. Configure your firewall properly. If your firewall is configured properly, it can help defend against third-party attacks. Turn off your Bluetooth. Don’t forget to turn off other connectivity features like Bluetooth when you’re in a public area, as those channels can be just as vulnerable as Wi-Fi. Avoid entering sensitive data. The fewer risks you take, the more likely you are to stay safe, so avoid sensitive transactions—including online shopping or banking—while on public connections. Cybercrime is real, and hackers often take advantage of unsuspecting international travelers who haven’t taken the proper precautions. Before you go on any trip overseas where you plan to use your Mac or iPhone, make sure your devices are secure. Having good cybersecurity practices will help provide the peace of mind you need to make the most of your trip. 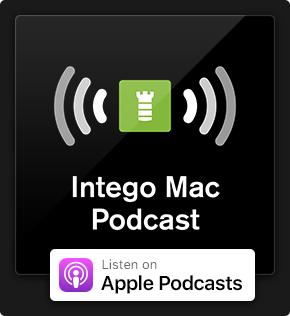 For even more ways to protect your Mac or iPhone when traveling overseas, check out these 15 Mac-hardening security tips from Intego to keep you safe from cybercriminals. This entry was posted in How To, Recommended, Security & Privacy and tagged cybercrime, cybersecurity, iPad, iPhone, Mac, Mac security tips, Traveling Overseas. Bookmark the permalink.